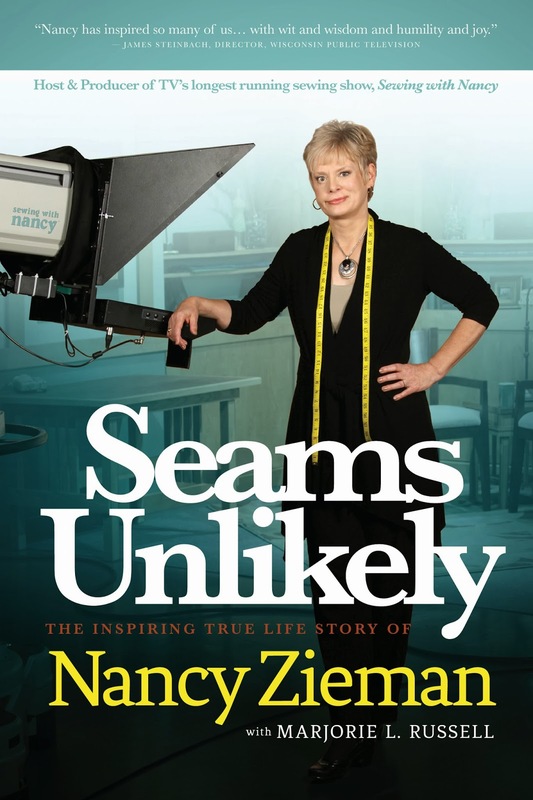 I was asked to participate in the blog tour for Nancy Zieman's autobiography, Seams Unlikely: The Inspiring True Life Story of Nancy Zieman , and today's my turn to tell you what I thought. And here's what I think: Nancy Zieman is an amazing example of hard work and determination and has endured significant physical and medical challenges to become one of the most recognized names in the sewing industry. She built Nancy's Notions, her sewing supply mail-order business, from the ground up starting in her basement, and has had a successful sewing television show for over 30 years. She is a true inspiration. In her book, Nancy describes health challenges that started when she was a baby, including Bell's Palsy, knee problems, and multiple surgeries. She describes her life living on a dairy farm in Wisconsin and the work ethic instilled in her by her parents. I especially liked reading about her experiences in 4-H because I took sewing 4-H for four summers too--and I got an amazing education in apparel sewing through 4-H, even though I was so young. It was very interesting to read about the growth of her business over time as technology changed and her customer base grew. I appreciated reading about Nancy's family as well, and I loved the chapter near the end that described the adoption of her younger son (and her older son's reaction to the new baby... so, so sweet.) Nancy worked with her husband for many years and was honest about the challenges and benefits of them being in business together. Visit Nancy's blog to read her explanation of why she wrote the book, and to enter in her giveaway of 20 copies of the book. And I have a copy of the book to give away, too. Comment on this blog post and I'll choose a winner on February 14. Disclosure--this blog post contains an affiliate link. I was given a free copy of the book. All opinions are my own. Thank you for the chance. I actually record Nancy's show. She is inspirational and oh so talented. Aside from my Mom Nancy was my first sewing instructor. Her series made me a much better seamstress. Vicki I have been sewing for 27 years and I still record Nancy's show. She has stayed on top of technology and I continue to learn from her. I really enjoy watching Nancy's shows. I've learned a great deal from her. I hope to meet her some day so I can thank her in person. Nancy is such an inspiration! I love her tutorials and how to videos. It is how I learned to sew. An amazing woman in may respects, would love to read her book. I don't know a lot about sewing, but this review piqued my interest and I'll be sure to look into Nancy's book. 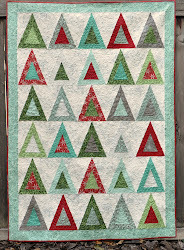 Looks like a fab book - I love reading anything quilty!!! Nancy Zieman is such an inspiration to so many of us sewists. She makes me proud to be a Wisconsinite too! I would love to have a copy of Nancy's new book. I love watching her on PBS. She is a great instructor. Thank you Diane C.
Nancy Zieman is an amazing person and I would love to have her book. Thank you for the giveaway! Nancy is an inspiration to me. Thank you for writing a great review of Nancy's book. I am more than ever excited to read it. Would really like to read more of Nancy's story. Hope I will be lucky enough to win a copy of it. Thank you. Thanks for the chance. I have watched her for years and still learn something new all the time. Thanks for the opportunity to read Nanny's book. A couple years ago I had the good fortune of meeting Nancy at quilt market and to learn that we both had the same Clothing Construction teacher at UW-Stout...Mrs. Jensen. I would love to read Nancy' story. I have watched Sewing with Nancy for many years. She sounds like an awesome person. Such an inspiration. I have watched her shows for years and learn something new each time I watch. Thanks for a chance to win Nancy's book. I have enjoyed learning from Nancy - her many sewing tips and techniques. Nancy's early paper catalogs were my link to sewing supplies and thus my sanity when I lived in areas lacking easily accessable local sources. I have always been inspired by Nancy. I actually do not notice her Bell's Palsy most of the time since the content of her TV show is inspiring. I would love to read her "true story". great fun and I learned things from those young girls. I would love to read Nancy's story. I know it must very inspirational. Enjoyed reading your review of Nancy's book. I am a big fan of this very genuine, talented lady. This would be fun to read. I've seen her show before and really enjoyed what I learned there. Thanks for the chance. I have watched Nancy's show for many years, would love to win a copy of her book. This sounds like a great read. Thanks so much for the chance to win a copy! Nancy's story is amazing. She actually helped me get an A in a business class I took by interviewing some of her staff and writing about her busines about 10 years ago. Her work ethic and attitude trickle down to everyone in her company. thank you for the opportunity... p.s. I like your blog too! I hope I'm not too late- I love watching Nancy and she inspires me each time!